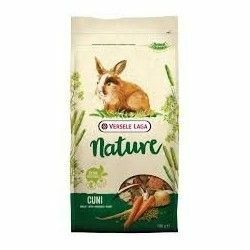 Food for rabbits Versele Laga Cuni Nature is composed of a careful selection varied of vegetables, fruits, fibers, herbs and nutritional supplements that are favorable to your digestive system, take care of your teeth and give your coat a healthy look and shine. It also has extracts of yucca which fix the ammonia and reduces the bad smell of feces and urine. 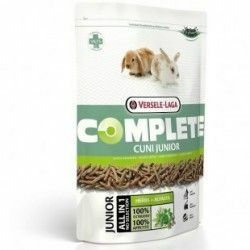 As a supplement to this food is complete and balanced, remember to always give your rabbit fruits and vegetables fresh and varied, as well as hay for your rodent have a long and healthy life. Food for rabbits made with natural ingredients of high quality. 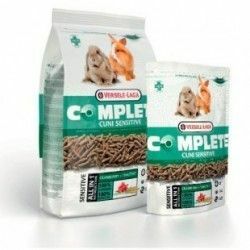 Contains all the nutrients you need for your pet. Promotes digestive health, dental hygiene and a shiny coat and lustrous. 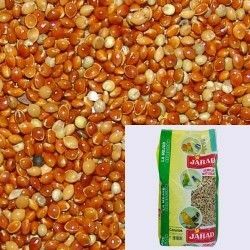 Helps to reduce the smell of feces and urine. 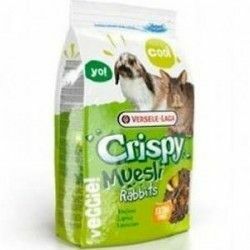 Very tasty and appealing to rabbits. 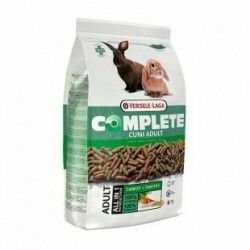 Complete food for rabbits and rabbits dwarves adults. 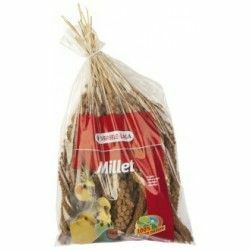 Depending on the breed, size and age of your pet will have to give a daily ration different from that, in any case, the manufacturer recommends not less than 50 g nor more than 80 g.
It is important to change the food and water of your rabbit on a daily basis and in their cage always has fresh hay. 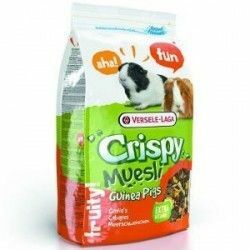 Ingredients: by-products of vegetable origin, cereals, vegetables, extracts of vegetable proteins, seeds, fruit, minerals, yeast, fructo-oligosaccharides, extracts of calendula, herbs, seaweed, extracts of yucca, mannan-oligosaccharides, and extracts of grape seeds. 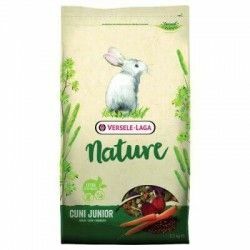 Description: The food for rabbits Versele Laga Cuni Nature is a rich food and nutritious that fully covers the needs of these animals in their adult state, without granulations pressed.